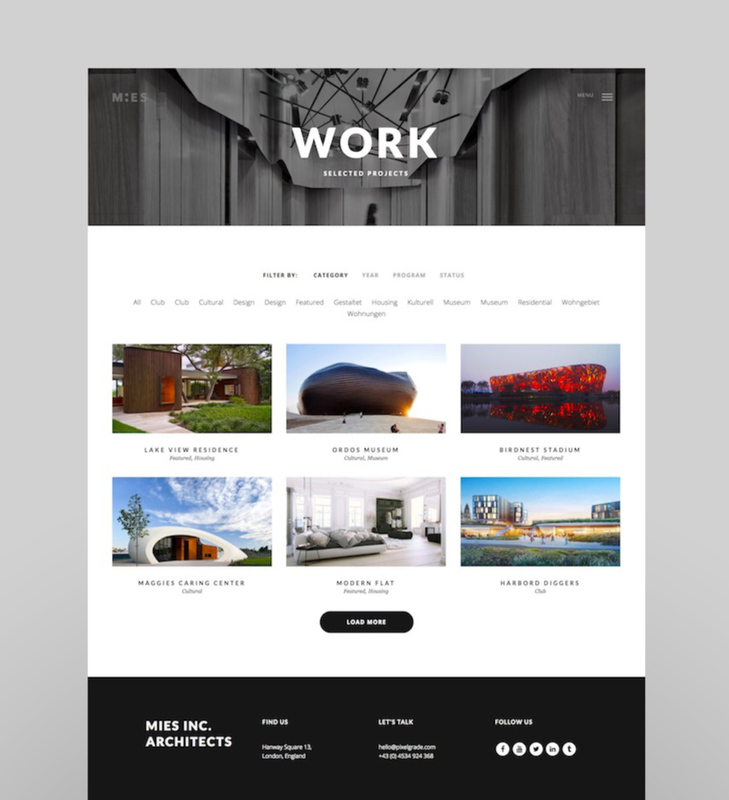 Working on your own architecture website or construction company site? 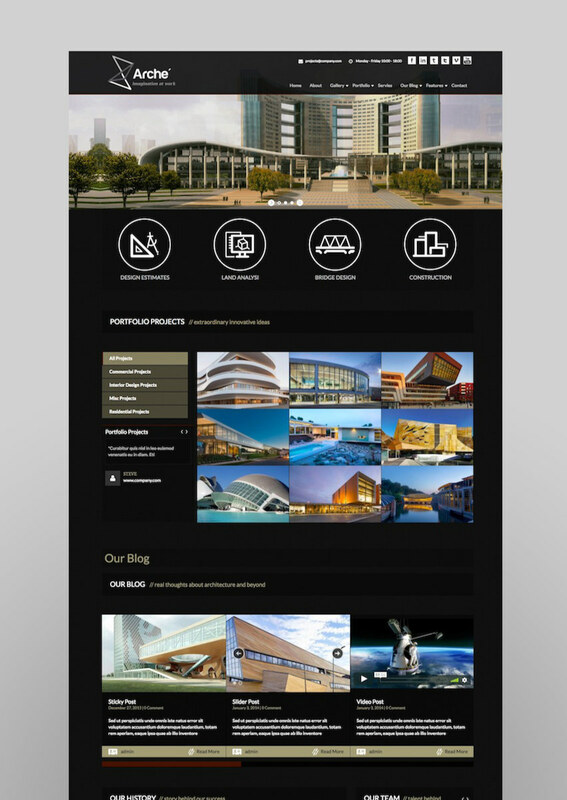 Architecture is founded on visual design, and so it’s essential to have a website that matches; well-designed, sleek, streamlined. 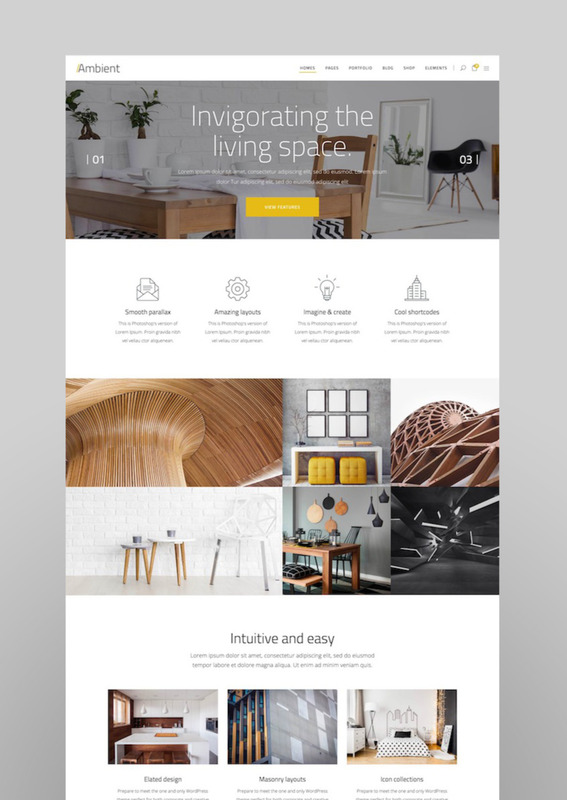 A stylish new theme from Elite designer azelab, Interio is made for architects and designers. 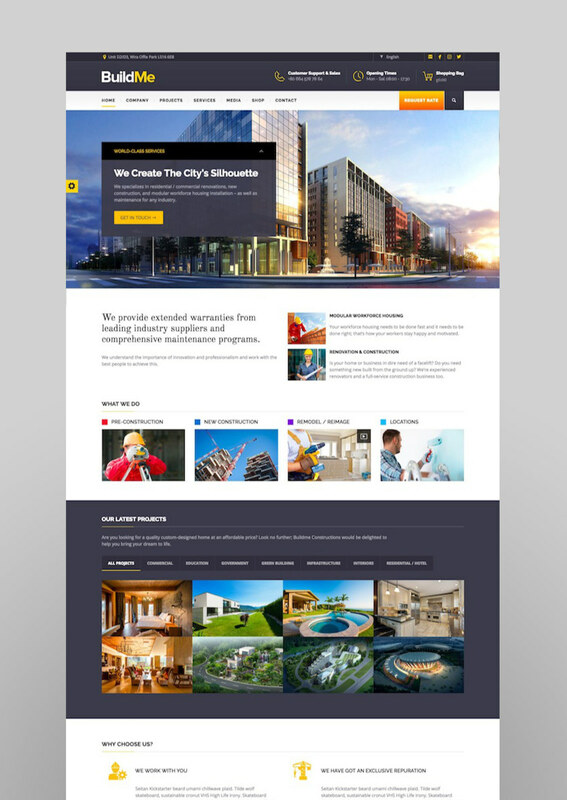 The default template is a full-width design with a filterable portfolio, and there are several other layouts to choose from. With a variety of portfolio layouts, e-commerce integration, and Visual Composer included, this WordPress theme is a great choice if you want a site that’s modern and fresh. This theme has a unique layout. 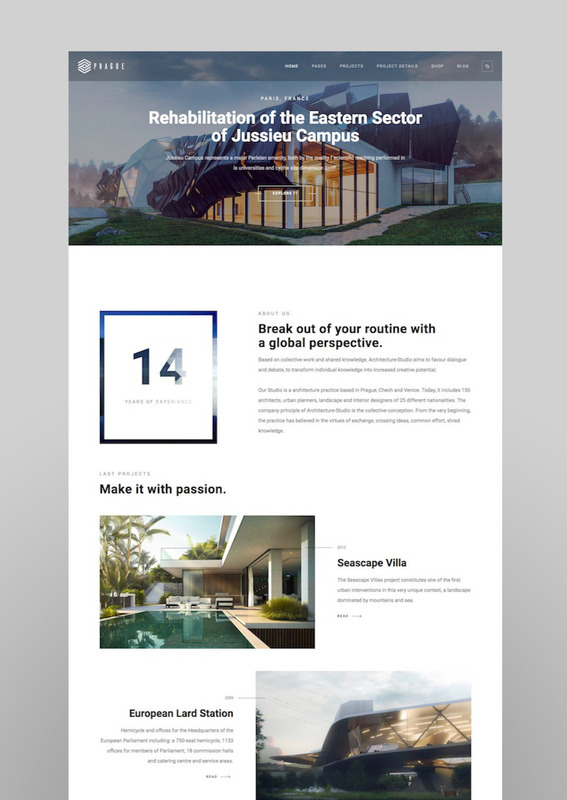 Instead of putting all the information on one scrolling home page, it has a simple, short home page with a full-screen slider to showcase projects. It’s a great option if you have just a handful of projects that you really want to highlight, or if you’re looking for a website that’s a bit out of the ordinary. 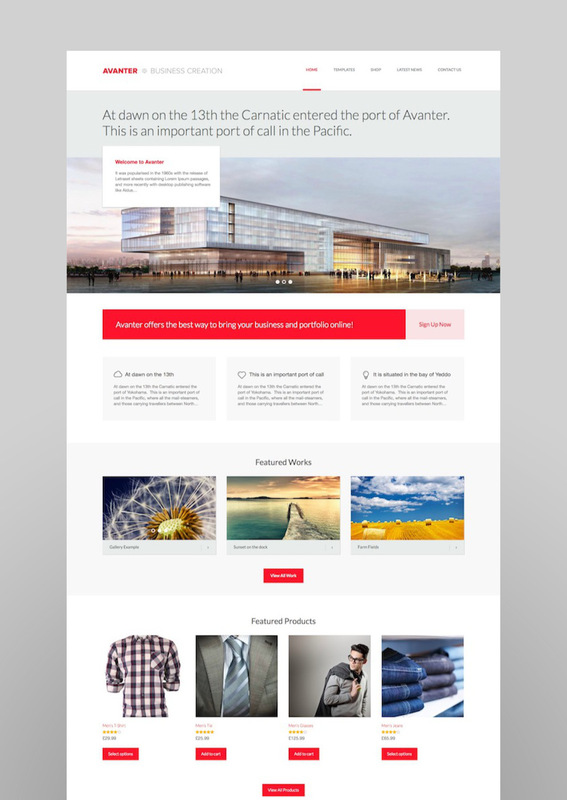 The bright feature grid on this theme is an eye-catching way to highlight key facts or projects about your business. I like the duotone accent images and the mix of serif and sans-serif font choices. Spots for features sections like Our team, Our process, and our suppliers (although of course, it’s all customizable). 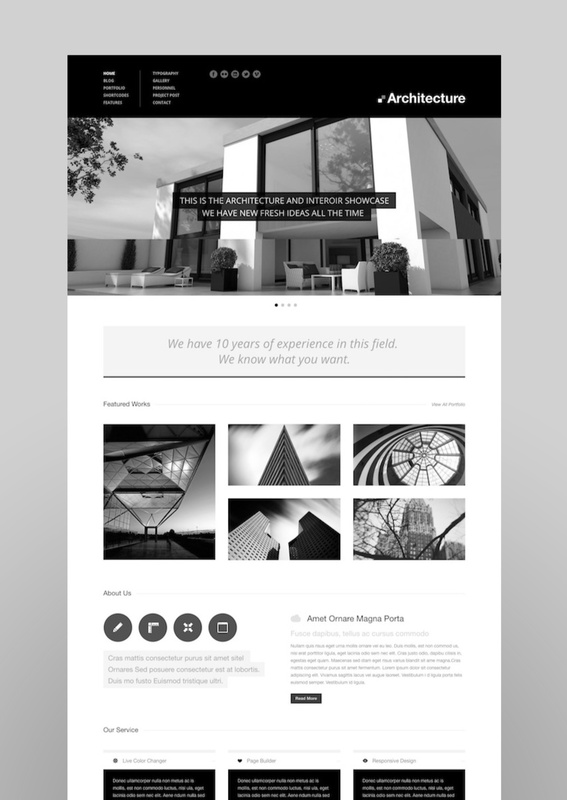 An “avant garde architecture” theme, this template features parallax scrolling and full-width images. Showcase your projects with an advanced filtering system and other portfolio options. It’s SEO-optimized and easy to integrate with your social media channels. 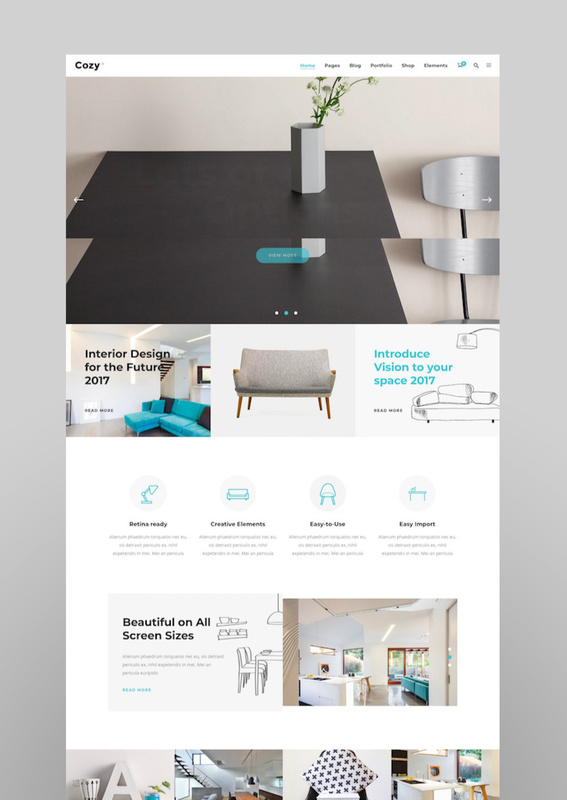 Bauhaus is a well-designed theme, with a focus on white space, and excellent photography in the demo to capture to potential of the website. There are 17+ page templates and 3 homepage options. 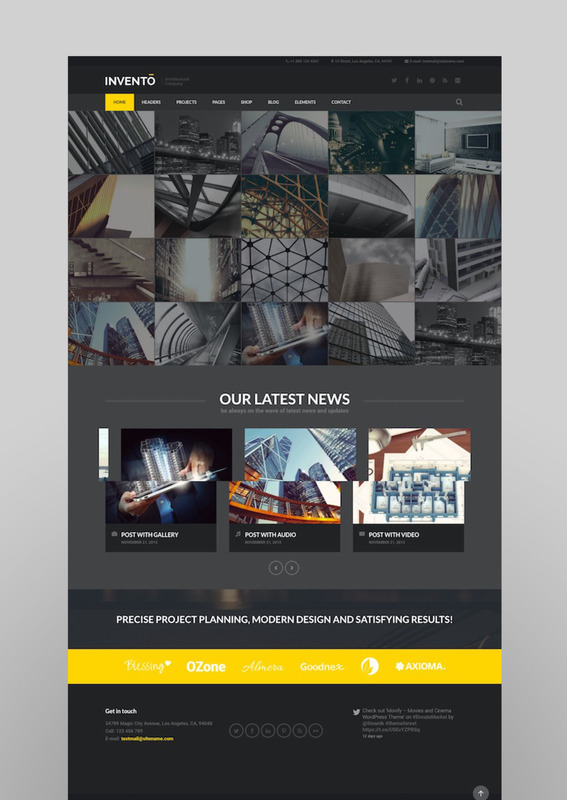 From the ‘our partners’ section to the grid-based ‘latest projects’, it’s a modern, stunning choice for a website. Named after a city that’s famous for its architectural design, Prague is a beautiful website. With maps, one-page options, categories, project timelines, and more, you’ll be able to show off your architecture work in style. Invento includes popular plugins like Visual Composer and Slider Revolution. It’s easy to customize, with unlimited icons and clean code. There are 5 home page layouts and 3 different blog pages. Ambient is a gorgeous WordPress theme. 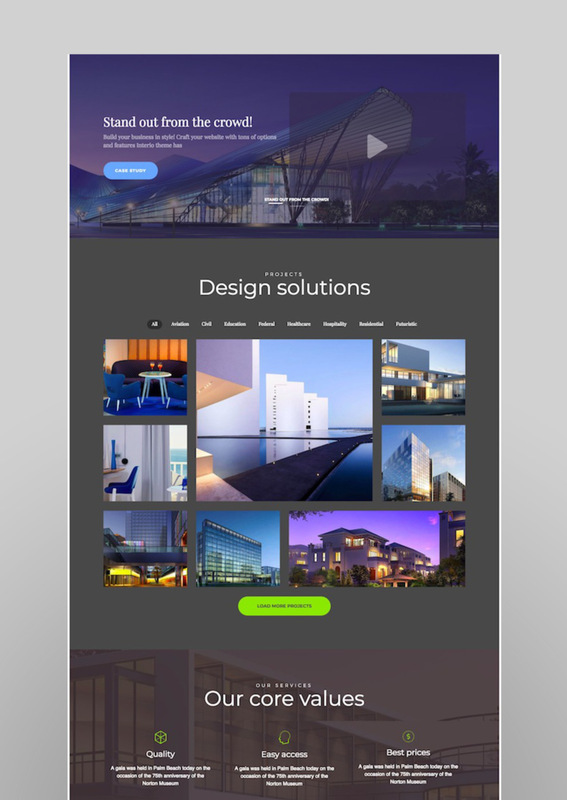 It was designed for architects and interior designers by Power Elite designer Elated-Themes, created just over a year ago. There are 12 (!) 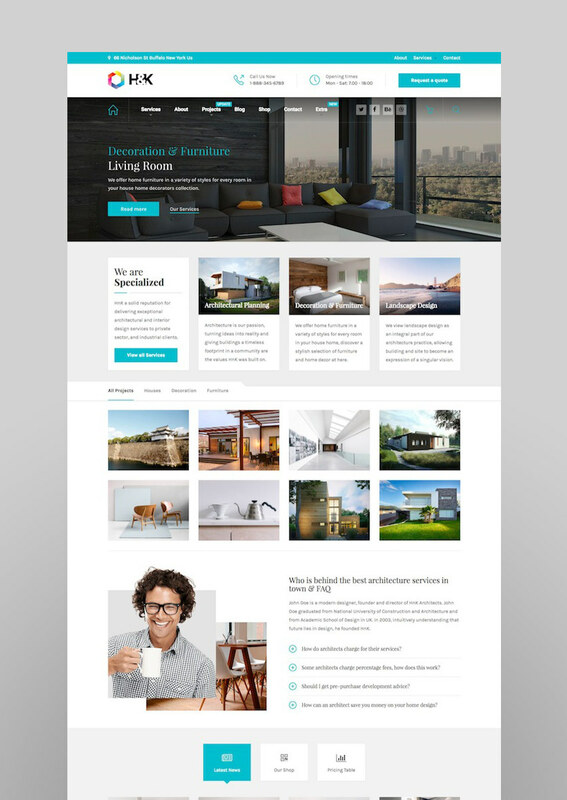 different homepage options, with portfolio pages, project layouts, fun 404 templates, and more. 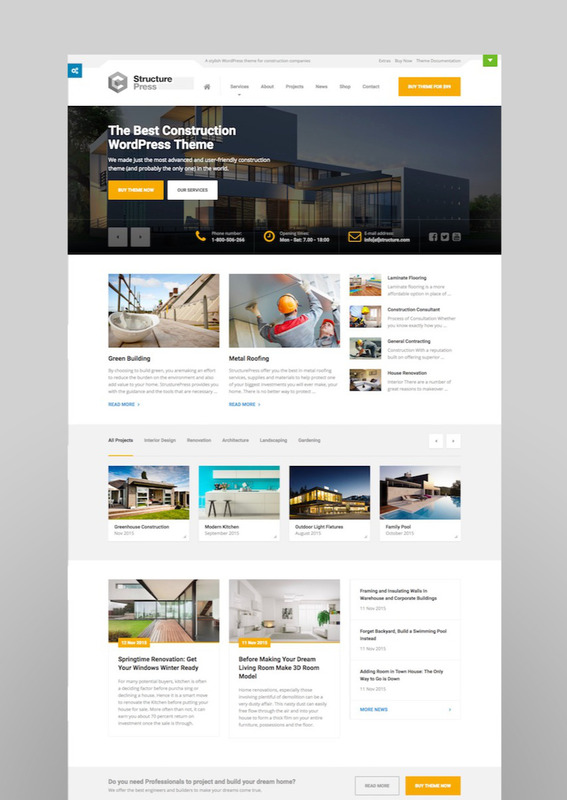 The yellow accent is a popular choice for architecture websites (I guess it’s the association with construction), but the colors are customizable. Another Elated-Themes design, this one with a more classic, simple style. There’s plenty of white space, and the box-grid layout is easy to navigate. 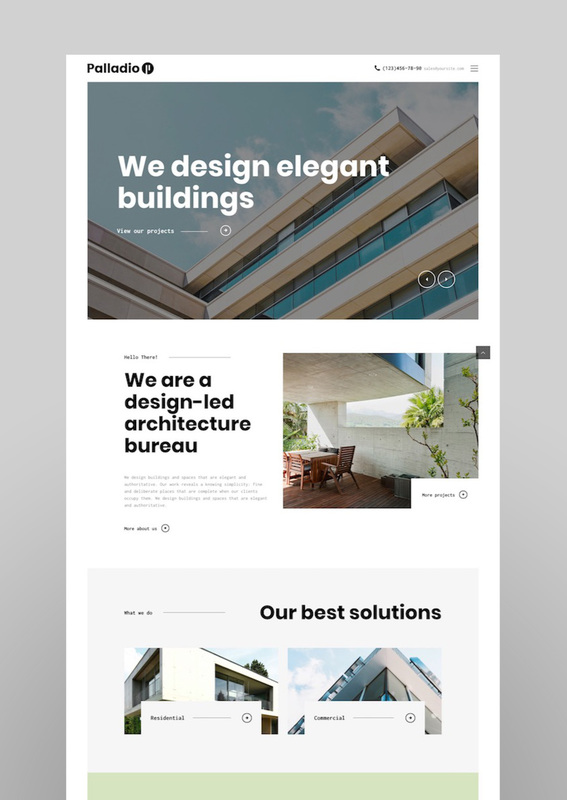 TheBuilt is a bold web design. 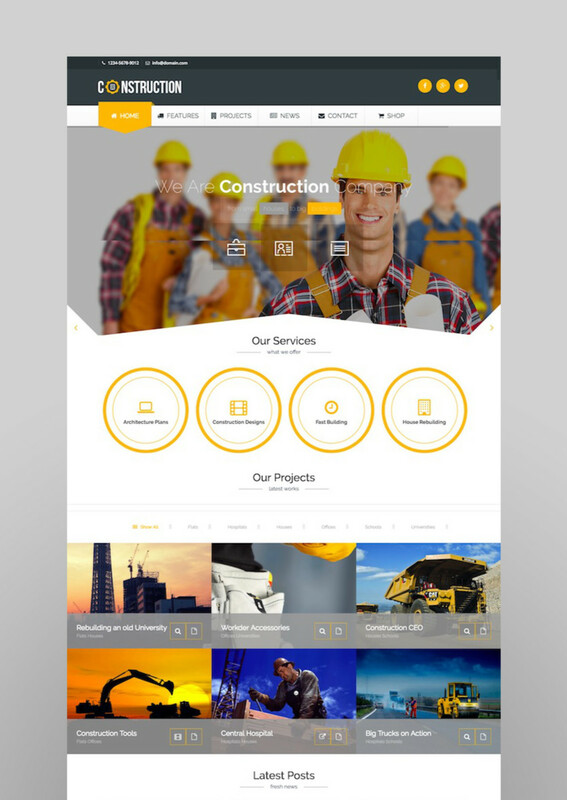 Made for construction and architecture companies, it’s a multipurpose theme that has a one-click demo installation. A page builder is included, and it gets a super fast (90/100) Google Page Speed score. A new, fresh theme that was just added to the WordPress marketplace this year–so it’s not likely that you’ll run into it on a competitor’s website. The support team for this theme is highly rated. StructurePress has the option to purchase with Envato-managed hosting, which means that Envato will take care of the theme set-up and web hosting for you. If you’re not sure what web hosting is, or you need a website set up fast, this might be a great option. Construction comes with video instructions for installation, so it’s easy to install. Includes Visual Composer, unlimited colors, customizable sidebars, WooCommerce-compatibility, and WPML (WordPress multi-language) compatibility. 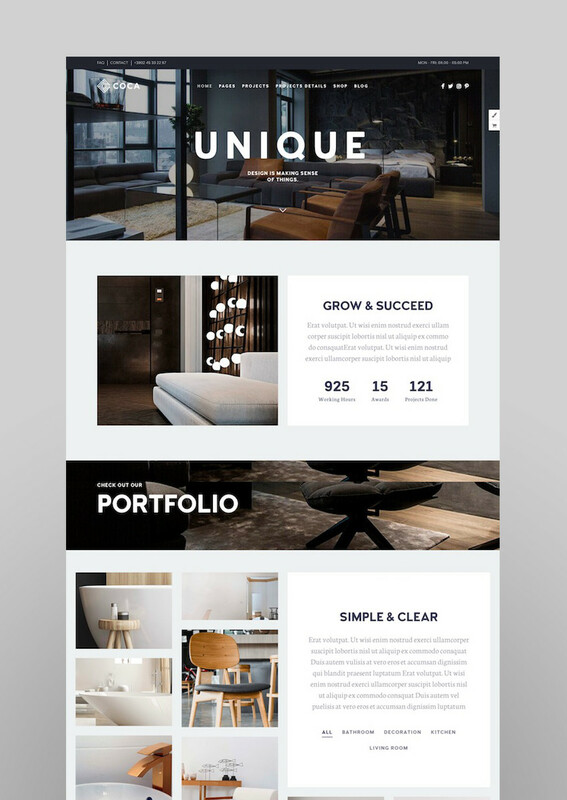 Craft Portfolio is a unique choice, with black outlines and boxy buttons that are popular in web design right now. It’s simple, without being boring. This is an especially good choice if you’re an independent consultant or creating a personal portfolio of your architecture design work. 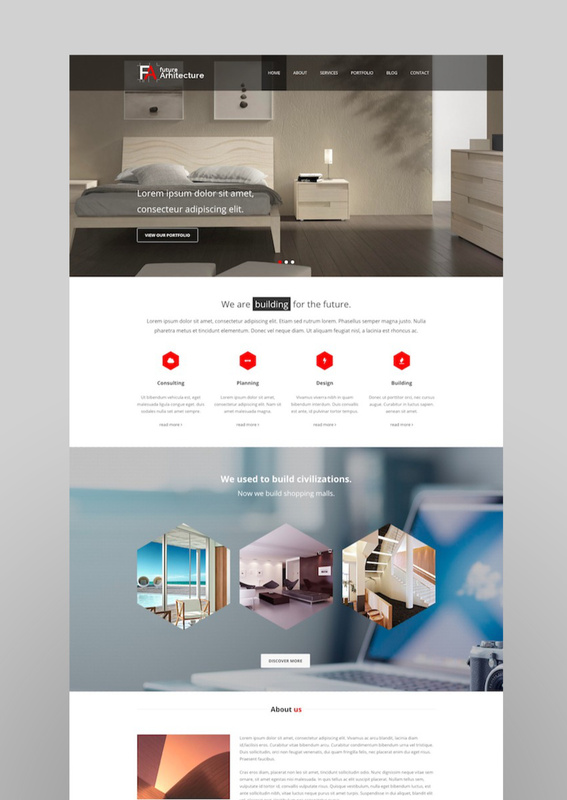 A simple, minimal design that stands out for its black and white look in the demo–although, of course, that can be changed by choosing different, full-color photos. 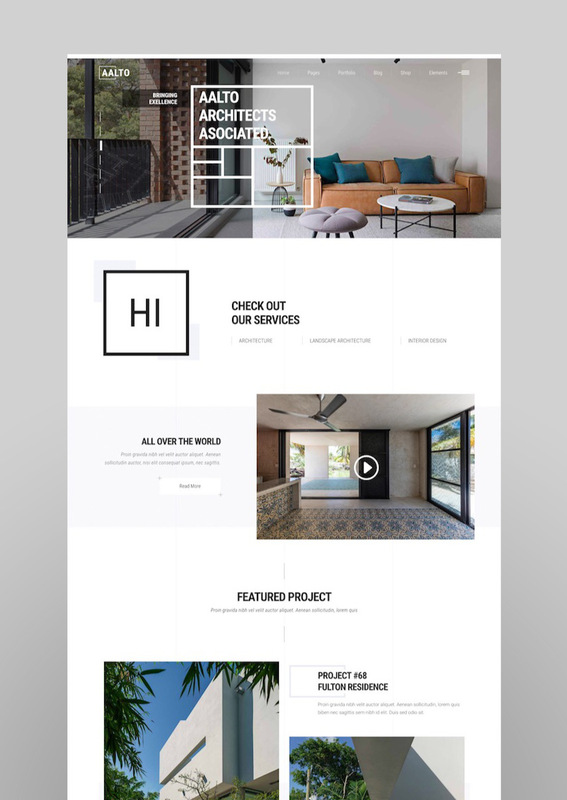 Ratios are important in architectural design, and this theme is inspired by those principles. There are 15 homepage options, different portfolio layouts, smooth scroll, and social share functionality. If you’re inclined to play around with the code yourself, there’s a child theme included in this theme. 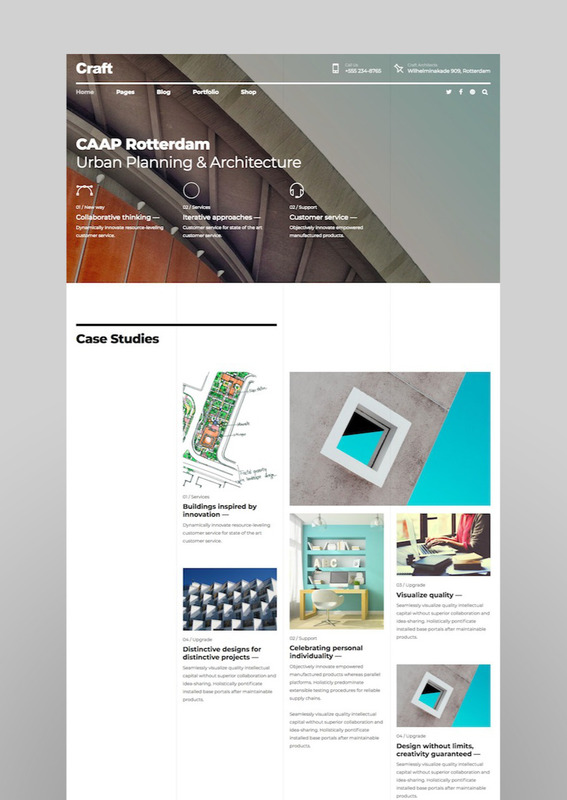 Aalto has options for dark and light layouts, plus project showcases, blogs, shopfronts, and more. It has it’s own admin interface for customizing the site, social media widgets, contact forms, WooCommerce, and blog sliders. This theme is classy. Dark colors, interesting menu layouts–it’s certainly an out-of-the-ordinary choice. 18 homepages, 6 project styles, and page layouts for bibliographies, exhibitions, pricing, and media. It’s SEO-optimized and fully responsive, works with Google Maps and video embeds, and comes with premium plugins. Cozy is a cool theme with a high rating from users and pretty, modern font choices. The accent colors on the titles and headers add emphasis to your message. 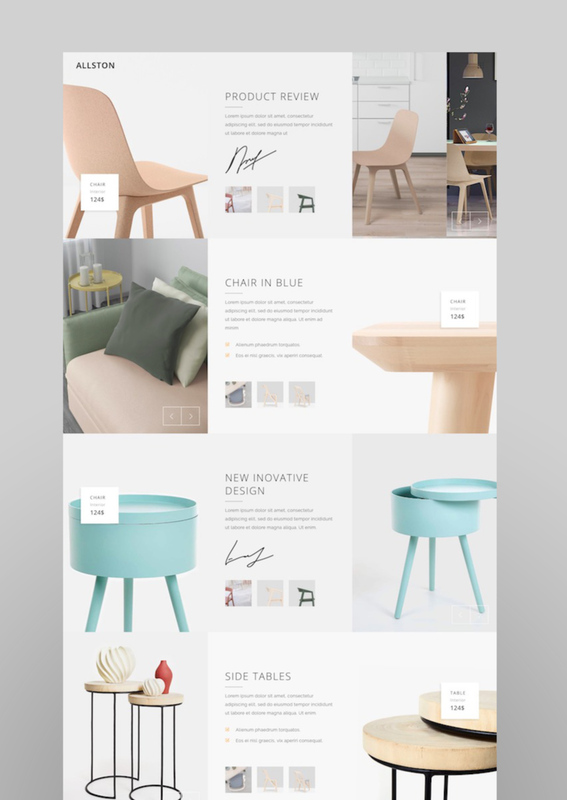 Designed by ProgressionStudios, Avanter is a WooCommerce-ready theme. It has unlimited color schemes, retina support, and it’s translation-ready to make your business go global. Arche is “imagination at work”. 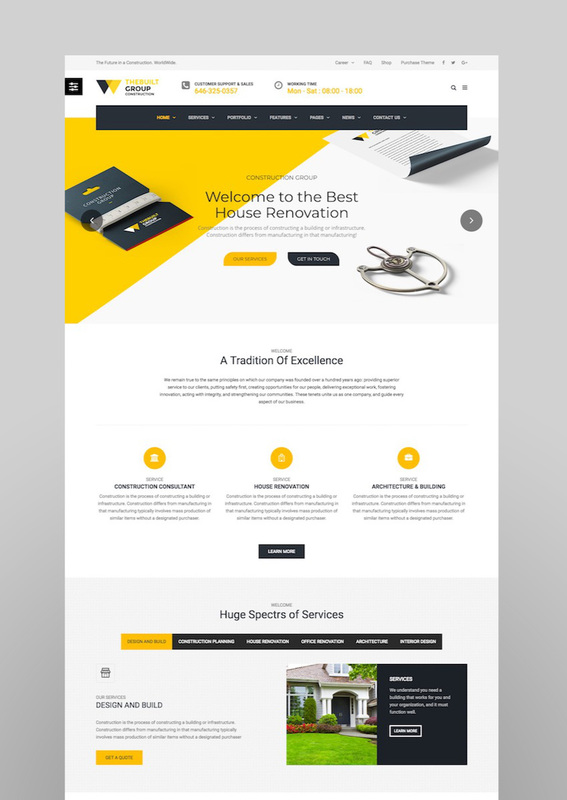 It’s a fully responsive theme with a 3D layer slider, multiple blog layouts, galleries, a drag-and-drop page builder, and multilingual support. 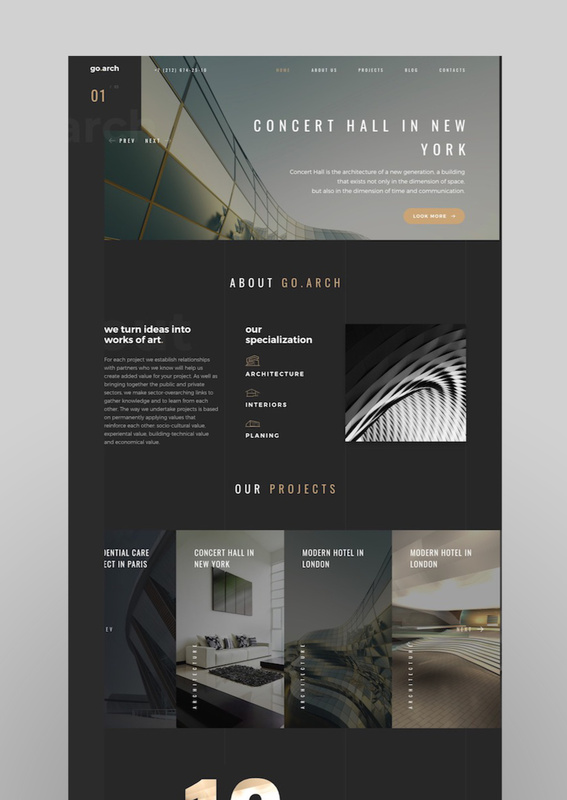 H&K is a sharp design choice for architecture sites, with serif fonts and extensive menu options. The one-click install makes it easy to get your website off the group asap. We build…. websites! 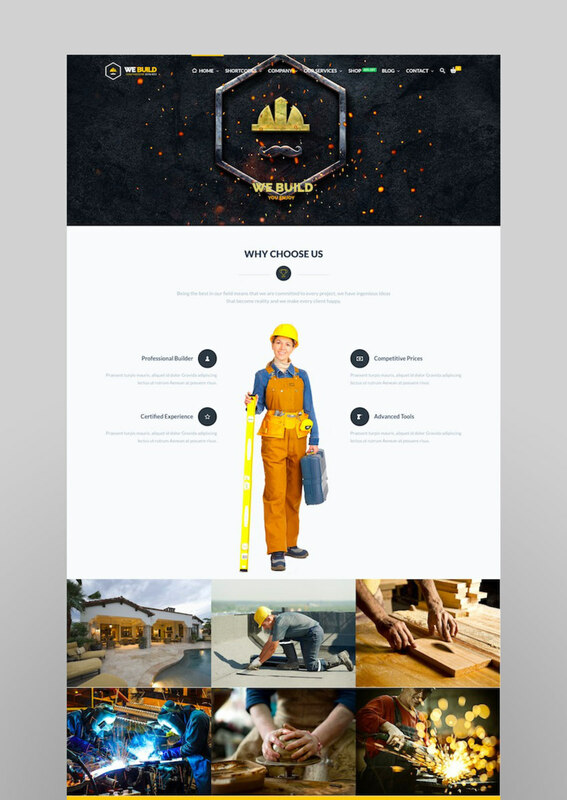 A theme made for construction companies, building services, interior designers, and home renovation services. Their dedicated support team will help you build the right website for your business. 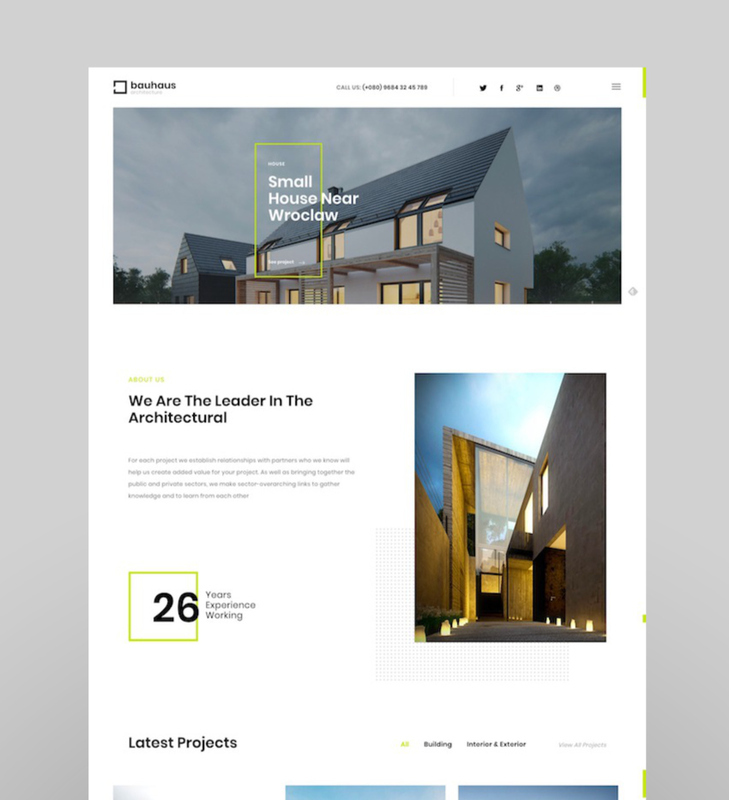 Future Architecture is a top-selling theme for architects and business owners alike. 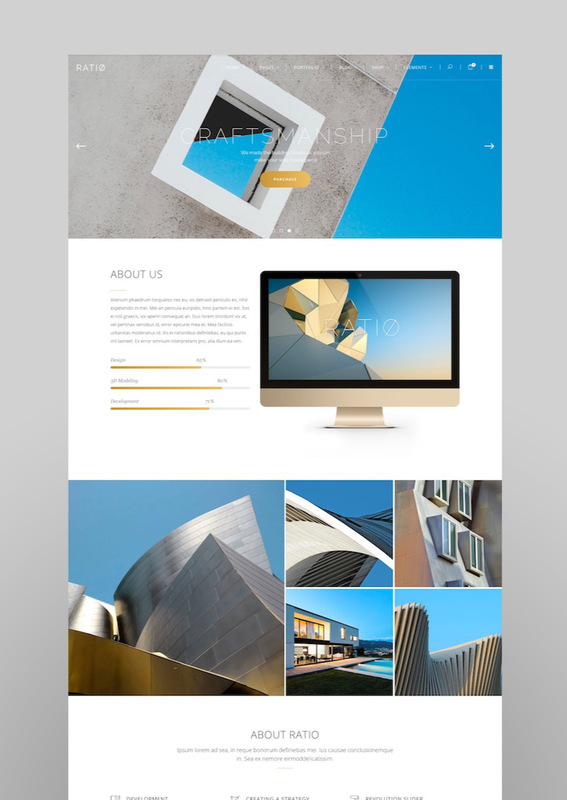 It’s fully responsive, retina-ready, and has parallax scrolling sections.